"Don't count your chickens before they're hatched" — This age-old phrase said to be coined in the 1500s to describe the haste in celebrating an event is the easiest way to explain the happenings on 16 July 1950 at the newly-built Maracana Stadium in Brazil. It gets better captured if the statement is rephrased to "Don't make gold medals imprinting the players' names before winning the match"
However, to be fair the Brazilian team led by Augusto de Costa were overwhelming favourites to lift the 1950 World Cup in front of the home crowd against Uruguay, who managed to make the most of a skewed group stage to make it to the finals. The 1950 edition was unique in its format as the group stage was followed by the round-robin format to decide the eventual winners. The 16 July match was technically not a final and just the decisive match of the tournament, which saw the Brazilian team lose 1-2 to Uruguay in one of the biggest upsets in football history. Brazil was hosting the World Cup and they were all but ready to crown the national team as champions at the end of the night. There were newspapers headlines which had already declared Brazil as the winners. The confidence was not misplaced as Brazil were unbeaten in the group stages of the quadrennial event. 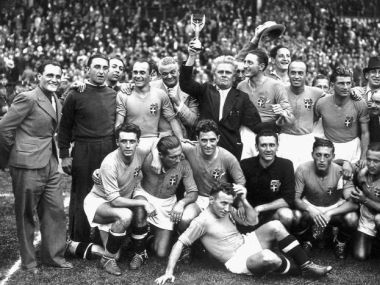 The team was also riding on the high of being the South American champions having won the 1949 Copa America. In the group stages, barring the match against Switzerland that ended in a draw, Brazil had convincing wins and the belief in the team increased manifold when they handed Sweden a 7-1 belting in the final four stage. This was followed by yet another dominating performance against Spain that saw six goals being netted by Brazil to win 6-1. In contrast, the Uruguayan team qualified to the final stage without much of an effort as they had just one other team, Bolivia, in their group after India and France withdrew from the event. Winning the Bolivia match 8-0, Uruguay waltzed into the final four to join Brazil, Sweden and Spain. Uruguay, led by Obdulio Varela, managed to draw their match against Spain before scraping past Sweden in the following clash. Brazil's dominance in the World Cup ensured that they needed just a draw to lift the title and not just the nation, but the entire world was sure about the team becoming the champions. The mayor of Rio, in his speech ahead of the final, said that in just a few hours the Brazilian players will be heralded as unrivalled champions. There was even a victory song composed and prepared to be played after winning the final. The early edition of the Brazilian newspaper O Mundo had the pre-emptive headline that screamed victory for the national team. No one expected anything other than a win for the Selecao. The expectations reached a feverish high after Brazil's Friaca scoring the opening goal, just two minutes after the first half. The famed Brazilian attack had finally breached through the Uruguayan defence. The jam-packed Maracana stadium erupted and the final was following the script. 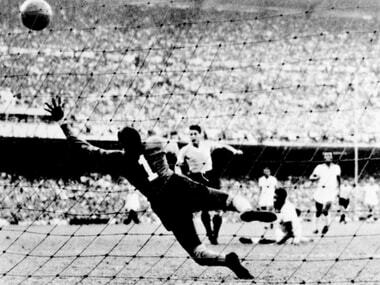 Then, it was time for Uruguay to display their attacking style of play and the Brazilian defence couldn't quite hold on to the onslaught as Juan Alberto Schiaffino scored the equaliser in the 66th minute, after successfully netting a pass from Alcides Ghiggia. The attack continued as the volume from the vociferous crowd started diminishing with every passing minute. 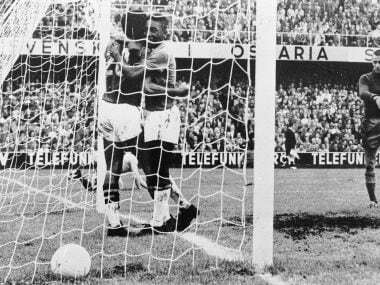 With just eleven minutes left on the board, a deafening silence resounded in the Maracana stadium when Ghiggia snuck one past Brazil goalkeeper Moacir Barbosa to take the lead in the 'final'. 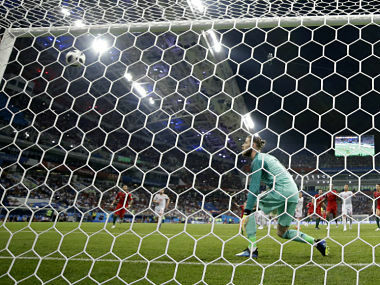 The scoreline remained unchanged when the final whistle was blown as stunned silence prevailed at the Maracana. This wasn't the expected result and the entire country drowned itself in unparalleled gloom. The repercussions of the match, commonly referred to as the Maracanazo (The Maracana blow), were long-lasting. Considered to be one of the worst-ever phases in Brazilian football, it took another 64 years for any match to come as close as the Maracanazo when in the 2014 World Cup, hosted by Brazil, Germany handed the hosts a 7-1 defeat at the Mineirao stadium. However, come what may, the 1950 Final will always be an open wound for the five-time World Champions. The impact of that match was succinctly put by the Uruguayan hero of the Maracanazo, Ghiggia, who famously said, "Three people have silenced the Maracana - Frank Sinatra, the Pope and me." 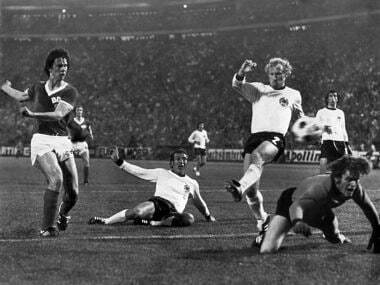 To read about other famous FIFA World Cup moments, click here.